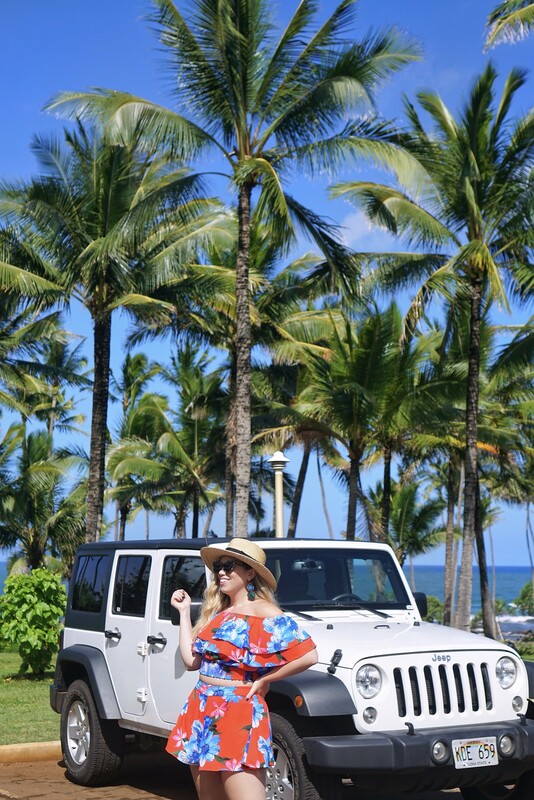 As much as I wanted to do a 10 outfits to wear in Hawaii post (maybe I’ll still do it later), I figured a 10 things you should pack in your Hawaii suitcase post would be WAY more useful (and if you’re craving tropical vacation outfits just check out my Punta Cana outfits post from last year, my Maui guide or my Kauai guide)! Luckily I packed most of these on my trip, but there were a few things I didn’t and WISH that I did! This post literally has nothing to do with fashionable items, it’s just filled with EXTREMELY useful things that you should definitely pick up before your trip! And if you forget any of them, no big deal there were a TON of stores all over Maui and Kauai that had most of these things, but just remember everything is definitely more expensive in Hawaii! So I’m not really a hiker so we knew we weren’t going to do any crazy hiking, but we definitely planned on doing some exploring, especially on the Road to Hana. Originally I was just thinking of bringing a normal sneaker for that, but did some research and found that water shoes with a little more traction would be way better. Tracy found these water shoes on Amazon and they were PERFECT, super affordable and Prime eligible! They were supportive enough to act like a sneaker, great for climbing hills and rocks and perfect to keep on while swimming near waterfalls! And they’re quick drying which was really beneficial! At the end of the Road to Hana we thought we destroyed them because they were so caked in mud, but all I did was clean them in the hotel bathtub and let they dry outside and they were as good as new! Another reason I don’t go hiking is because I’m basically the bug queen, they LOVE me, so bug spray was pretty much one of the first things I packed in my Hawaii suitcase. If you watch the Hawaii Stories Highlight on my Instagram Profile you can literally see the huge bug bites on my face during our Road to Hana adventure. After that I didn’t leave the hotel without it on. Obviously sunscreen should be on your packing list for any tropical vacation, but if you’re headed to anywhere with a reef, like Hawaii, Australia, Belize and more, you should definitely consider reef safe sunscreen for when you’re going in the ocean! If you’re staying at a higher end hotel (like we did for part of our trip), then most of them actually have reef safe sunscreen stations all around the pool and beach area, but obviously if you plan on venturing out (which you should), definitely pack your own! I actually only used it when I knew we were going to the beach because we didn’t buy a huge bottle of it and used this Supergoop Mousse and a few other Supergoop products the rest of the time and I didn’t get burnt at ALL. You know that phrase “No Shirt, No Shoes, No Service”…well in Hawaii it’s more like “No Shirt, No Shoes, No Problem!” While I did pack a pair of dressier flat sandals with me in my Hawaii suitcase I think I old wore them once or twice during the entire 10 days we were there. This is definitely a flip flop vacation and I’m ALL here for it! My favorite pair of flip flops that I wore pretty much the entire trip are from Old Navy and look WAY more expensive then they are! Another super obvious addition to your suitcase, but one that couldn’t be left off my list! Whether it’s a baseball hat, a big straw hat or something in between, you should definitely pack something that will protect your head and face while you’re outside. 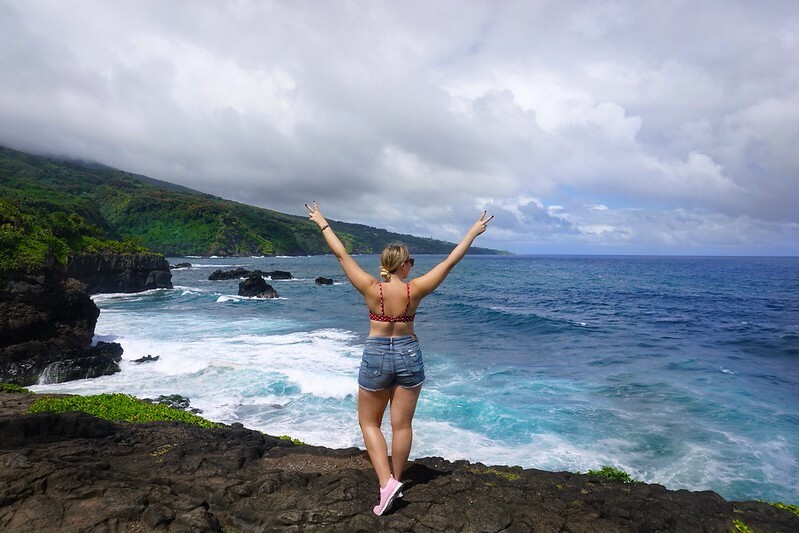 Luckily in Hawaii while you’re at the pool and beach at your hotel there are a TON of umbrellas available, but when you’re out exploring the different towns and sightseeing it’s easy to forget how long you’ve been outside and exposed to the sun. There’s nothing worst then ruining a vacation by getting sunburned and I was NOT letting that happen to me in Hawaii! Tracy and I luckily grabbed an extra lightweight duffel before we left and we’re SO happy we did! We put everything we bought in there to fly home and it was way cheaper for one of us to check a second bag than if we both had overweight luggage! I highly suggest doing this, even if you don’t plan on shopping wouldn’t you rather be safe than sorry! I know, I know…what do you need a camera for now that iPhones have such great cameras. I might be alone in this, but there’s just some trips that cameras are necessary for and since Hawaii is one of those once in a lifetime trips I wouldn’t leave home without mine. If you’re not into photography then by all means, leave this one out but for me it’s an essential! I brought my Sony Alpha a6000 Mirrorless Camera with 2 lens (35mm 1.8 Fixed Lens & the stock 16-55 lens) on our trip and it took the most unbelievable photos! This camera is great for advanced photographers, but is also amazing for a complete beginner who plans on keeping it on Auto, plus it fit into even my smallest bags! I actually did a whole post about this camera last year so check it out if you want more information on it! 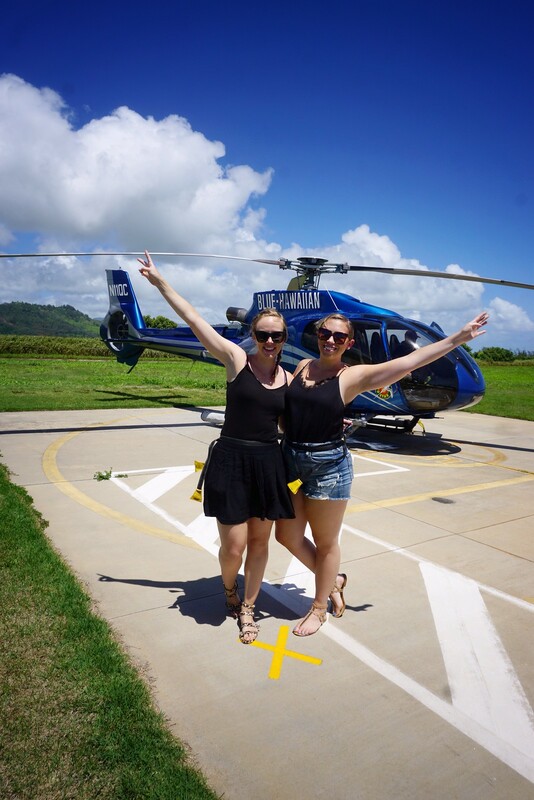 If you don’t plan on taking a helicopter ride then you can ignore this one, but if you do (and you should because it was amazing), then definitely pack some solid, neutral clothes to wear during it. Patterns and bright colors from your clothes reflect off the windows in the helicopter which makes it really hard to take photos. Tracy and I both wore dark colors and were so grateful that everyone else on our ride listened and did the same thing too!! While your hotel will definitely give you towels for when you go to the beach and pool, a microfiber towel is a great thing to pack in your suitcase and keep with you in the car as you’re exploring the islands because you honestly just never know when you’re going to find a beautiful beach off the beaten path or a hidden waterfall or get caught in a rainstorm and need something to dry off with! Microfiber towels because they’re super absorbent, dry really fast, fold up small and this one actually repels sand!! 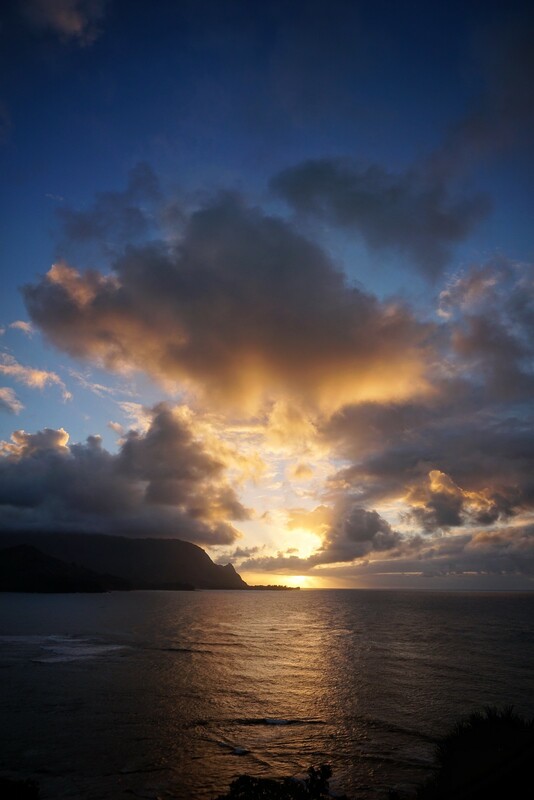 Hawaii is obviously a water filled vacation! Whether you’re just relaxing by the pool, snorkeling, taking a boat ride or whatever else water related your mind can dream up you want to protect your phone. There’s nothing worse then damaging your phone on vacation and getting a waterproof case is an easy solution to make sure that doesn’t happen! Did I miss anything? 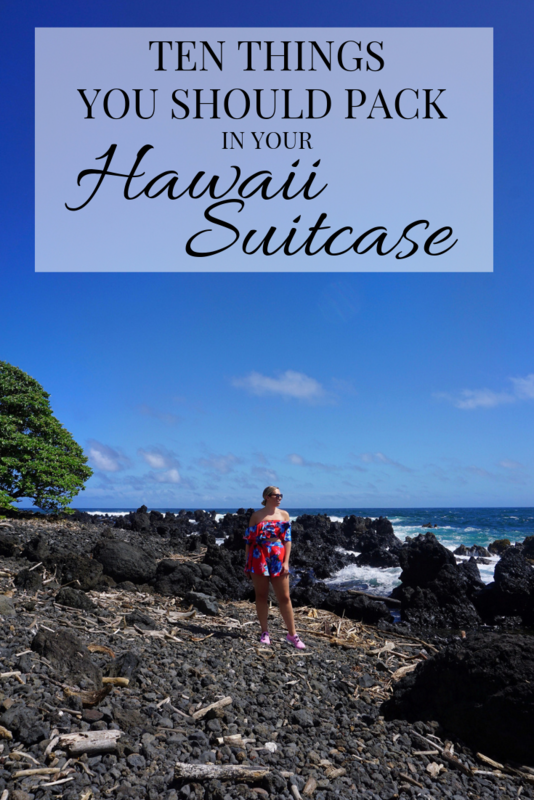 I’m sure there are many more things, but these 10 are definitely things you should pack in your Hawaii suitcase!